The activities and actions of the Rotary Club of Guam in the year 1971-72 reflected the dramatic changes that were taking place throughout the world in that year. It was a year of initiating dialogue with new members, and a year of renewing past ties and sharing memories with one of our charter members. It was a year of honoring visitors from other lands, and a year of recognizing and honoring the accomplishments and contributions of those from our own island. It was a year of beginning a new international exchange program, and a year of providing special attention to the needs of the disadvantaged on Guam. Perhaps most significantly, it was a year of great internal change for the Rotary Club of Guam; change that resulted in the formation of a second Rotary Club of Guam. In 1971, a program for meeting and becoming acquainted with new members of the club initiated, a first for the Rotary Club of Guam. Name the “Fireside Chat”, this informal discussion between new and potential members and Rotarians helped to familiarize those unaware of rotary and Rotarian principles with the honor and duty which comes from being a member of the Rotary Club of Guam had the pleasure of renewing friendships with a charter member of the Club, Mr. Simon A. Sanchez, who was the guest speaker at the 32nd Anniversary Charter Night. 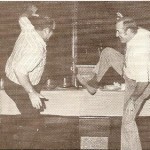 Also in 1971, the Rotary Club of Guam sponsored International Understanding Week, an annual event for the Rotary Club. In 1971, however, this event was special, as members of all consular corp on Guam attended, as well as a group of officials from the South Pacific area who were invited as special guests. This week helped facilitate understanding and helpfulness between groups of people who share much more than a geographic location in the world. But this year was not solely for recognizing individuals from other countries who were on our island, it was also a year of recognizing the contributions of residents of Guam to others less fortunate than themselves. Mr. Frank Sourgose and his wife, who for year transported wounded U.S. serviceman to his restaurant, served them food, and took them back to the Naval Hospital, were honored by the Rotary Club of Guam on Charter Night of 1971. Mr. Sourgose was given an honorary Rotary membership for this humanitarian work. The Rotary Club of Guam also contributed funds to these servicemen to allow them to call home to their families during Christmas season. One of the major accomplishments of the Rotary Club of Guam in the year 1971-72 was the initiation of a new exchange program between the Rotary Club of Guam and the Rotary Club of Karuizawa, Japan. Members of both clubs, and students chosen to participate, spent several days in the hosting country. This cultural exchange was further enhanced by the fact that many Rotarians from both Guam and Japan were able to stay in the private homes of their sponsor, and in so doing, received a much greater impact of, and feeling for, the cultural differences and similarities between our respective countries. This program is still in existence, and continues to be on of the most enjoyable and educational activities the Rotary Club of Guam has initiated. The Rotary Club of Guam also provided special attention to the needs of the disadvantaged of our island in the year 1971-72. For the first time in the Rotary Club of Guam’s history, the traditional Rotarian-Rotaryanne Christmas Party was not held. Instead, the Rotary Club of Guam sponsored a luncheon Christmas party for the members and staff of the Guam Rehabilitation Center. For some 102 members of the Center participating, the Rotary Club provided an excellent Christmas party, complete with entertainment and gifts. This party stands as an example of the care and concern the Rotary Club of Guam has for those who are not as fortunate as most. Another example of this care of the community that the Rotary Club believes in was the awarding of two $1,350.00 scholarships to two deserving students in 1971-72. But perhaps the most important event for the Rotary Club of Guam in 1971-72 was the founding of a second Rotary Club of Guam. As the membership of the Rotary Club of Guam grew, it became clear that action would have to be taken to insure that the Rotary’s principle of individual representation was not sacrificed. 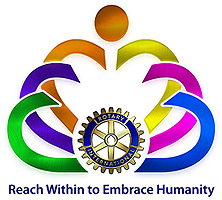 For this reason, in 1971-72, Rotary International was informed of the need to establish a second Rotary Club on Guam. On December 16, 1971, the General Meeting of the Rotary Club of Guam voted to form a second club, and on January 11, 1972, the Rotary Club of Tumon Bay was officially organized. 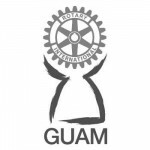 This second Club allowed the Rotary Club of Guam to expand and grow so that it could better foster understanding, goodwill, and peaceful relations among the people on the island and throughout the Pacific and the world. 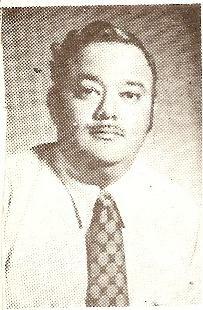 The year 1971-72 was a progressive and productive one for the Rotary Club of Guam. Many new and original ideas were implemented which generated more public awareness of the Rotary Club of Guam, its’ goals, and its’ past and future commitment to the development of our island. While the Sister Club relationship is the subject of a special article by PP Bud Theisen and PP George Tamura, the effectiveness of this relationship is testified to by a letter dated 15 November 1971 from Tatudu Mitsushima published hereunder.